Bring your showroom, retail or office space to life with a custom design and installed temporary or permanent fit-out or display. We can take charge of any setting and provide eye-catching designs and structures to enhance your brand. 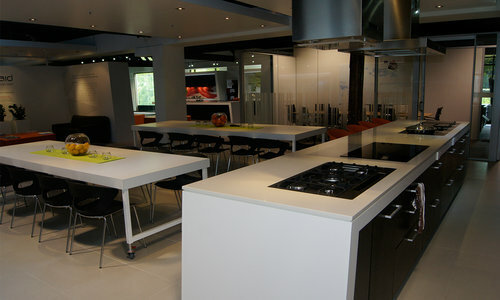 ICATCHERS DESIGNED A SHOWROOM FOR KLEENMAID, A DOMESTIC APPLIANCE COMPANY, TO HELP IT GAIN TRUST FROM ITS CLIENTS, SHOWCASE AND DEMONSTRATE THE BENEFITS OF ITS PRODUCTS. 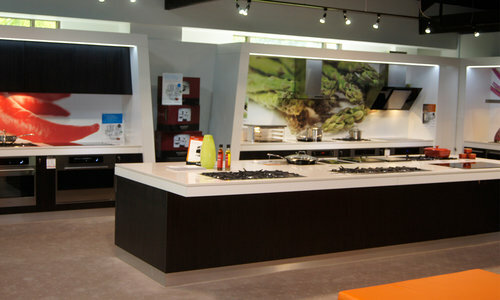 The 470-square-meter space, which is located on Botany Road in Sydney has created an environment to assist Kleenmaid showcase its products through cooking demonstrations, product displays and images. 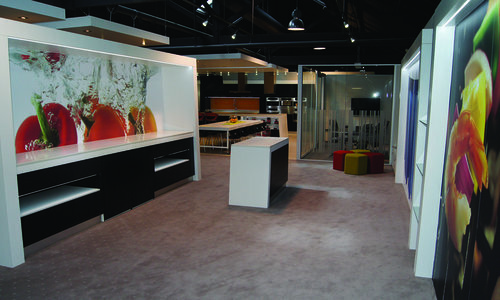 The icatchers designed, constructed and installed showroom includes glass partitioned staff offices. 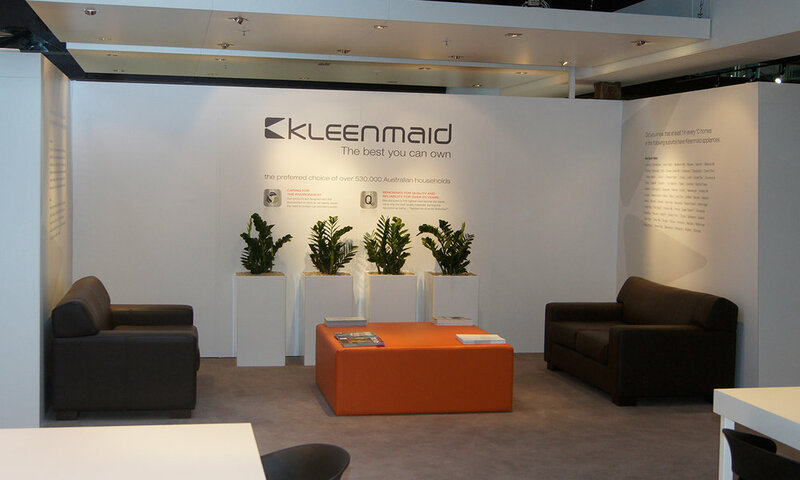 The exceptional workmanship throughout the space keeps the kleenmaid products front and centre of the space- helping kleenmaid to show them off in their best light. 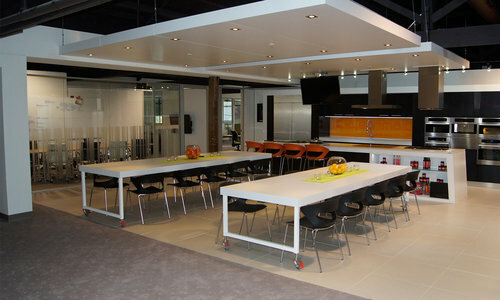 The showroom is adorned by colourful images to keep it vibrant and icatchers included an informal meeting area and a kid’s area which includes an Xbox console, bean bags, colouring in station and a large screen television. There are also see-through doors for parents to keep an eye on their kids. All internal and external signage was produced and installed by icatchers. Through the design, construction and installation of this showroom, icatchers has assisted Kleenmaid gain the trust of its clients by giving them an enticing space to view and experience the Kleenmaid products.